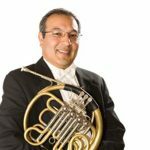 Since moving to Arizona, Ms. Lundy has been very active as a musician throughout the state, performing regularly with the Phoenix Symphony and Arizona Opera. In fall 2010, she was named one of Tucson’s 40 under 40 by the Arizona Daily Star. As a soloist and recitalist, she has appeared with the Tucson Symphony, the Arizona Symphonic Winds, the University of Arizona Guest Artist Series, and the St. Andrew’s Bach Society. In the summers, Ms. Lundy plays principal horn with the Des Moines Metro Opera in Indianola, IA. For three summers, she participated in the prestigious Lucerne Festival Academy in Switzerland under the direction of Maestro Pierre Boulez. Before joining the TSO, Ms. Lundy was an active freelancer in the Boston area, where she performed with the Albany and New Hampshire Symphonies and the Boston Philharmonic, among others. Ms. Lundy attended the Aspen Music Festival as a fellowship recipient for five summers, where she appeared as soloist in 2005. Other notable engagements include performances at the 2006 Virginia Arts Festival and chamber music performances with members of the Marlboro Music Festival and the Boston Symphony Orchestra. Ms. Lundy currently maintains a private teaching studio in Tucson and is on the faculty at Pima Community College. In the 2007-08 season she joined the faculty at the University of Arizona as a guest lecturer in horn. 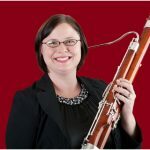 She holds a Bachelor of Music from the Oberlin Conservatory and a Master of Music from the New England Conservatory and principal teachers include James Sommerville, Richard Sebring, Roland Pandolfi, John Zirbel, Richard Deane and Daniel Katzen.